Very convenient to the lifts and Lionshead Village. We also enjoyed having a small kitchen facility to work with. Great location short walk to Lionshead center and the gondola. Great sized condo with three beds & three bathrooms all with heated floors! Housekeeping everyday was a bonus for a condo too. Very nice friendly staff. Very clean. 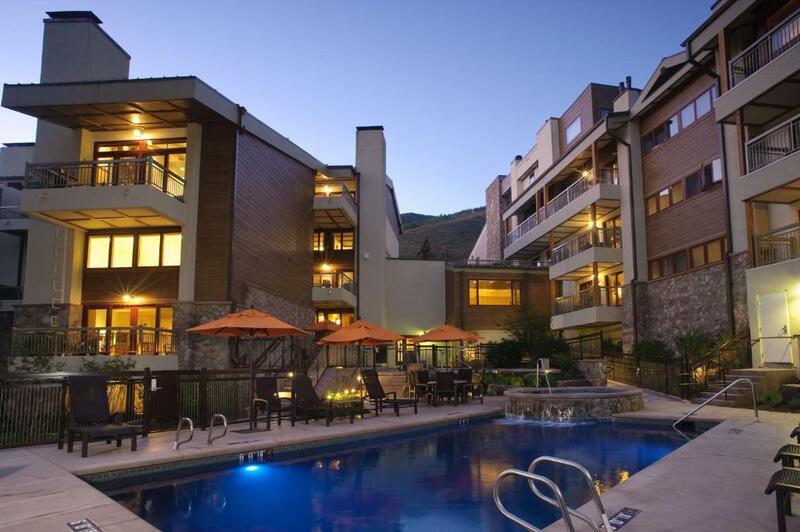 Very close walking distance into Lionshead shopping, restaurants and to the slopes. The condo unit had everything you needed, our unit even had washer and dryer, not all do but they do have them in the common area. Hot tubs and heated pools we're amazing after a day of skiing ! The condo was perfect for two couples. The kitchen was well stocked with utensils and the rooms were exceptionally clean. The front clerk was so friendly and helpful, and parking was great. Great place, excellent location to walk or ride free bus anywhere. Quiet, on the river and extremely comfortable. One of the nicest places we’ve stayed at motel room price. The winter rate will be a great bargain for location. My family and I were astonished how hugh and beautiful the condo was! The surrounding area with the babbling brook and views were gorgeous! The condo was much bigger than we anticipated and very nice. The location is amazing and the staff was super friendly. Little amenities like free coffee and granola bars at the front desk were the icing on the cake. Will definitely stay here again! Lionshead was awesome from the moment we arrived. My cousin and I stayed for a long girl's weekend. The receptionist was very friendly, helpful and informative every time we had contact with her. The room was very clean and well furnished. The beds were comfortable, even the murphy bed was great. The pool/tub area was clean and seemed to have the right amount of chemicals. (not overly chlorinated like some places). Overall, I would recommend Lionshead and would definitely stay again. The condo was very well appointed. It had 2 bedrooms...a king bed in one and 2 queens in the other. It was quiet, close to everything in Vail so you could walk everywhere. Close to the hospital (my husband had surgery). The beds were comfy. The location within Vail was perfect. In between the center of Lionshead and Vail Village which was nice but still accessible by walking or tram to both areas. Property was right on path and stream. They offered early check in as we had an ATV trip planned and wanted to get checked in first. We were there to watch the GoPro mountain games and wanted to stay and watch some events on Sunday so they offered a late check out as well. Amazing staff! Room was a 2 bedroom Plat which was perfect! Lock in a great price for Lodge at Lionshead – rated 9.4 by recent guests! Lodge at Lionshead This rating is a reflection of how the property compares to the industry standard when it comes to price, facilities and services available. It's based on a self-evaluation by the property. Use this rating to help choose your stay! One of our top picks in Vail.This property is located at the base of Vail Mountain overlooking Gore Creek. The property features an outdoor pool and apartments with a full kitchen or kitchenette. Lodge at Lionshead, apartments have a dining and living area with DVD player. The apartments also feature access to free Wi-Fi. 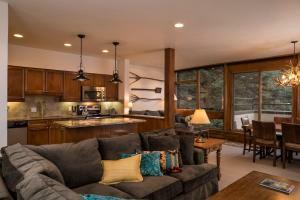 Guests at the Lodge can rent ski equipment and play on the slopes. The property offers a concierge service, which helps arrange in apartment massages and grocery shopping services. 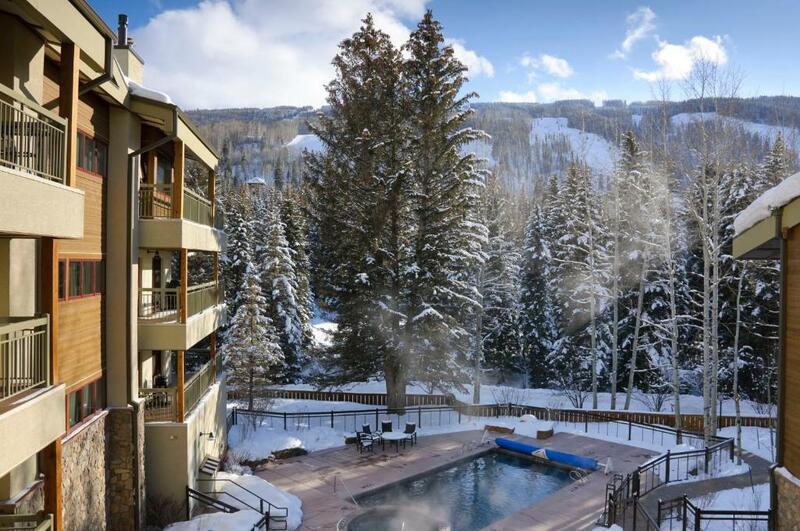 The Lodge at Lionshead is a 2 minute walk to the base of Vail Mountain. 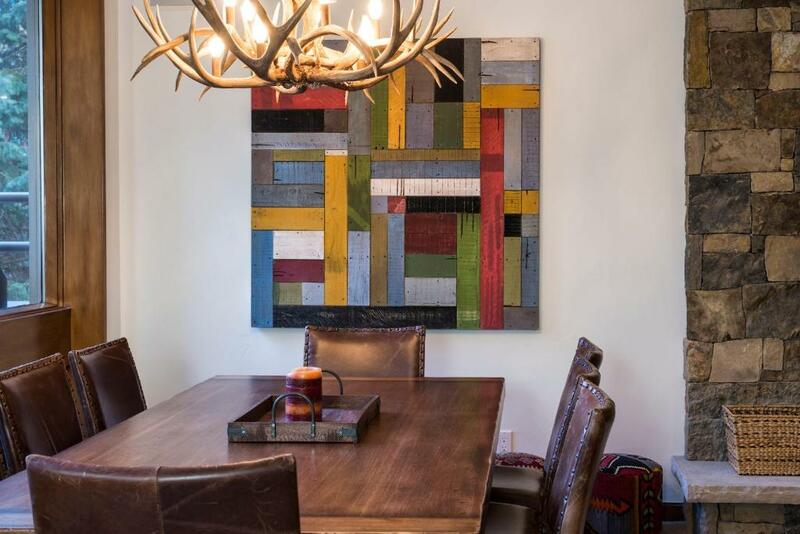 The property is a 10 minute walk to downtown Vail or a 5 minute ride on the free in-town transportation service. This property also has one of the top-rated locations in Vail! Guests are happier about it compared to other properties in the area. 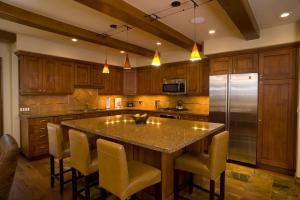 This property is also rated for the best value in Vail! Guests are getting more for their money when compared to other properties in this city. 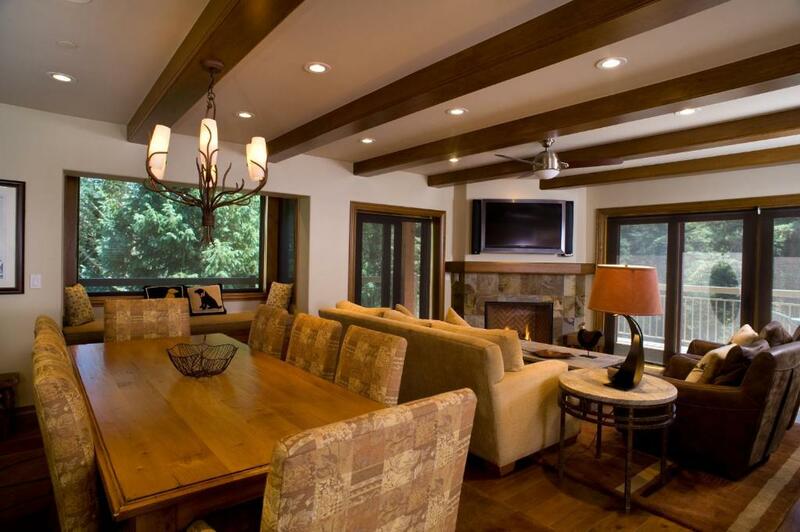 뀐 Located in the real heart of Vail, this property has an excellent location score of 9.8! When would you like to stay at Lodge at Lionshead? This apartment has a separate living area, a fully equipped kitchen and a washing machine and tumble dryer. Please note that the bedding configuration for this apartment is either 1 King bed or 2 Queen beds. This apartment features a balcony, a fireplace and a full kitchen. A flat-screen cable TV with a DVD player is also included. The bedding configuration for this apartment varies and will be decided upon check-in. Offering a balcony with valley views, this two-level loft features a kitchenette with granite counters, a flat-screen TV and an private bathroom. On the main level a sofa bed is also available. A maximum of 3 guests can stay in this room. Please see Hotel Policies for extra person fees. Offering a balcony, this studio features a kitchenette, a flat-screen TV and an private bathroom. A bed that pulls down from the wall is also included. It can be stowed when not in use for more living space. Two 2-bedroom apartments combine with a common foyer and feature 4 bathrooms, 2 living areas and 2 full kitchens. One of the connected apartment offers a fireplace and balcony. The type of bedding in this apartment varies, the hotel will decided base on availability upon arrival of guests. A separate living room with a fireplace and a fully equipped kitchen are available in this apartment. A flat-screen cable TV is featured. Barbecue facilities, a separate dining area, and separate living area are all included in this apartment. A flat-screen cable TV with a DVD player and a balcony are also featured. The type of bedding in this apartment varies, the hotel will decided based on availability upon arrival of guests. A fully equipped kitchen, separate dining area, and separate living area are all included in this apartment. A flat-screen cable TV with a DVD player and a balcony are also featured. Peak Resort Services has been managing Lodge at Lionshead since 1993 and many of our core staff have been here 10+ years. No request is too big and our staff is known for its exceptional service. It is one of the main reasons so many of our customers return year after year. Coupled with our incredible location, platinum-rated property and first-rate amenities, Lodge at Lionshead is a favourite place to stay for either summer or winter holidays. Come see what all the fuss is about! We are located right next to the pedestrian plaza of Lionshead. It has the easiest access to skiing and riding on Vail Mountain with both the Born Free Chairlift and Eagle Bahn Gondola. In the summer, Vail's Epic Discovery is accessed via the Eagle Bahn Gondola. One branch of the Vail Snowsports School is also located about 100 yards away, and offers both adult and children's ski and snowboard lessons. 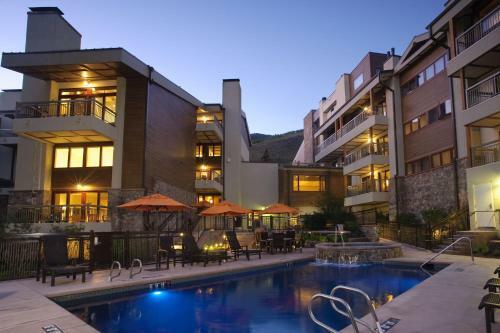 While slightly smaller than Vail Village, Lionshead still has restaurants, nightlife and shopping. Casual dining includes Garfinkel's, Bart & Yeti's, Blue Moose Pizza, The Little Diner and Moe's BBQ. Higher end dining options are Montauk Seafood Grill, the Vail Chophouse and Tavern on the Square. There are several bike rental and ski/ snowboard rental shops close by depending on what time of year you visit. Patagonia, Roxy, Burton, the North Face, Double Diamond, and Arriesgado are a few of the shopping options available. Lionshead is very safe with little crime. We always feel comfortable walking around Lionshead and to/ from Vail Village at night. 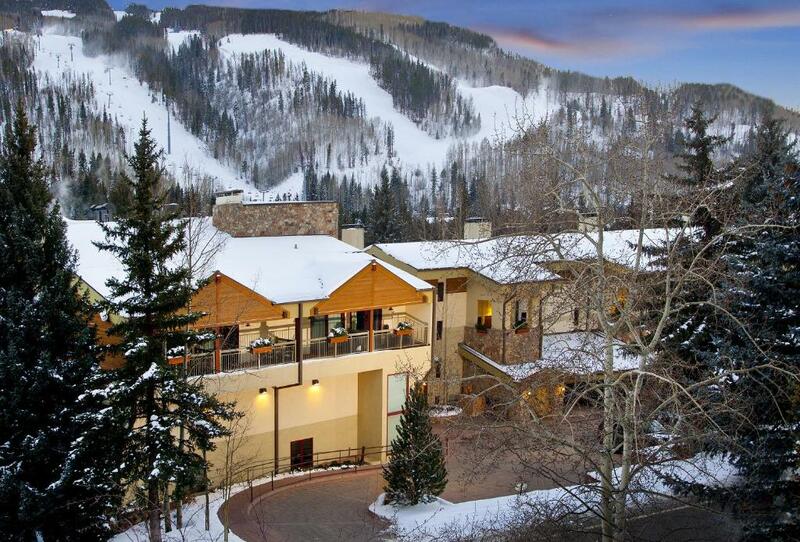 Vail Village is a 10-minute walk from Lodge at Lionshead, and more dining and shopping is available there. If you don't feel like walking, you can take the free in-town shuttle bus that runs all day long until about 1am. There are events in both Lionshead and Vail Village summer and winter. 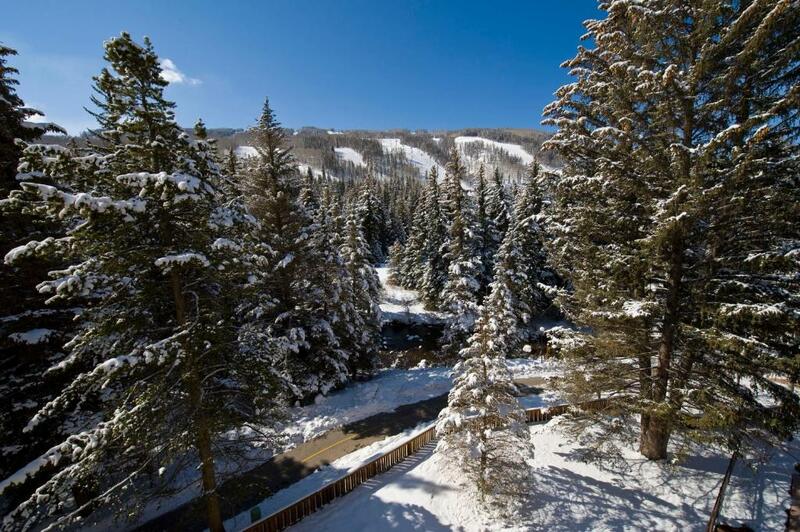 We are also steps from hiking, biking, fly fishing, skiing, snowboarding and more! House Rules Lodge at Lionshead takes special requests – add in the next step! Lodge at Lionshead accepts these cards and reserves the right to temporarily hold an amount prior to arrival. Apartment was cleanish on arrival but deteriorated during stay. Carpets were not hoovered and when we checked under beds prior to leaving we found rubbish from previous occupants and other bits of dirt. We had a 10 day stay and despite terms stating that bed linen would be changed after a week this did not happen. Great location and front desk staff. Lovely views and great little gym. Front desk could not have done more to help and ensure that we had a great stay. Parking garage had very low clearance. The kitchen was very small with no room for food storage other than the refrigerator. There also was only a small cramped space for two people to eat. On the other hand, there were two bathrooms suggesting that the space was intended to house three to four people if the sofa bed was used. However, it would be difficult to cook for a family of three to four in this space. Also, the unit was overpriced in my opinion as is Vail in general. Close to Eagle Bahn Express Gondola and central to Lionshead Village. Comfortable bed and nice shower and bathroom. Spaciousness of room for single or couple. Free parking. Would be nice to not have an actual key for unit entry and a key pad instead would be more ideal. Not a deal breaker by any means. Great spot. Will come again. Three of us stayed in a unit with a loft bedroom. Closet space was limited so we didn't have much room to store bags and personal items. It would be fine for two but for three accommodations were a bit cramped. Great location for Lionshead lifts. Staff were brilliant. Highly recommend.